Regehr, T.D.. "Sir Sandford Fleming". The Canadian Encyclopedia, 07 January 2019, Historica Canada. 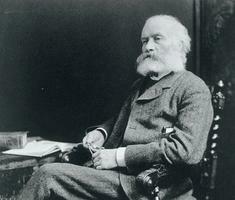 https://www.thecanadianencyclopedia.ca/en/article/sir-sandford-fleming. Accessed 19 April 2019. Sir Sandford Fleming, civil engineer (b at Kirkcaldy, Scot 7 Jan 1827; d at Halifax 22 July 1915). Sir Sandford Fleming was Canada's foremost railway construction engineer, as well as an inventor and scientist. The watch he holds is a reminder that he developed the system of standard time, still in use today (Library and Archives Canada/C-14128). Sir Sandford Fleming, civil engineer (b at Kirkcaldy, Scot 7 Jan 1827; d at Halifax 22 July 1915). He was Canada's foremost railway surveyor and construction engineer of the 19th century and a distinguished inventor and scientist. He came to Canada in 1845 and, after studying science and engineering and serving a professional apprenticeship in Scotland, he joined the engineering staff of the Ontario, Simcoe and Huron Railway, becoming engineer in chief of the successor Northern Railway in 1857. In 1863 the Canadian government appointed him chief surveyor of the first portion of a proposed railway from Québec City to Halifax and Saint John. Subsequently built as the Intercolonial Railway, Fleming was its chief engineer. Fleming was an ardent advocate of an all-British railway from the Atlantic to the Pacific coasts, and in 1863 presented to the Imperial authorities in London, England, a petition from the settlers at Red River, urging construction of a railway that would link that community with the BNA colonies further east (see Red River Colony). Nothing could be done immediately because Rupert's Land was then governed by the Hudson's Bay Co, but in 1871, very shortly after control of the western territories passed from the HBC to the newly established Canadian government, Fleming was appointed engineer of the proposed new Canadian railway from Montréal to the Pacific coast. He was in charge of the major surveys across the prairies and through the Rocky Mountains, reporting on numerous possible routes for the new railway. He recommended construction across the parklands of the northern prairies - referred to in some exploration reports as "the fertile belt" - and via the Yellowhead Pass across the Rockies and from there south to Burrard Inlet on the Pacific. The Canadian Pacific Railway did not build along the route recommended by Fleming, who had, however, also surveyed alternative routes and was consulted when the railway was built through the Kicking Horse Pass, which had been discovered by Major A.B. Rogers. The 2 transcontinental railways built in the first 2 decades of the 20th century followed the route through the Yellowhead Pass recommended by Fleming, but the Grand Trunk Pacific Railway was then built to the northern BC coastal harbour at Prince Rupert, while the Canadian Northern Railway followed the route across the interior of BC recommended by Fleming. Fleming retired from the CPR when the Canadian government turned the project over to a private syndicate in 1880, but he continued to do consultative railway work. 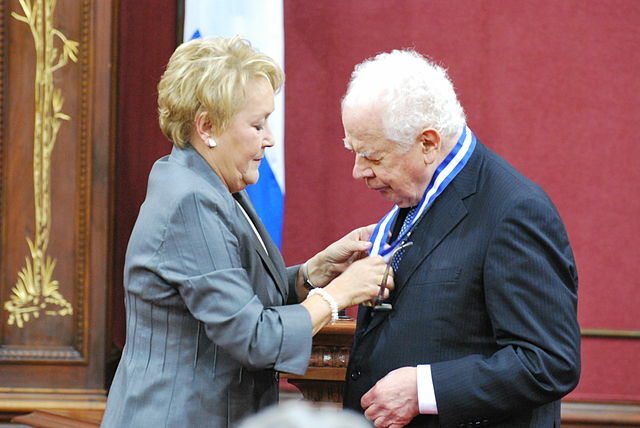 He was also, throughout his life, interested in numerous other projects. He became a strong advocate of a telecommunications cable from Canada to Australia, which he believed would become a vital communications link of the British Empire. The Pacific Cable was successfully laid in 1902. Fleming also played a key role in the development of a satisfactory worldwide system of keeping time. The railway had made obsolete the old system where every major centre set its clocks according to local astronomical conditions. Fleming advocated the adoption of a standard or mean time and hourly variations from that according to established time zones. He was instrumental in convening an International Prime Meridian Conference in Washington in 1884 at which the system of international standard time - still in use today - was adopted (see Time Zones and Legal Time). Fleming also designed the first Canadian postage stamp, the threepenny beaver, issued in 1851. He was created a Commander of the order of St Michael and St George in 1877 and a Knight Commander of that order in 1897. Lorne Edmund Green, Sandford Fleming (1980). Sir Sandford FlemingWatch the Heritage Minute about Sir Sandford Fleming from Historica Canada. See also related online learning resources. Sanford FlemingA profile of Sir Sanford Fleming from the Canadian Science and Engineering Hall of Fame.